When I was filling up the Amazing Race application form back in 2011, there was a question asking "What country and place would you most like to visit?" 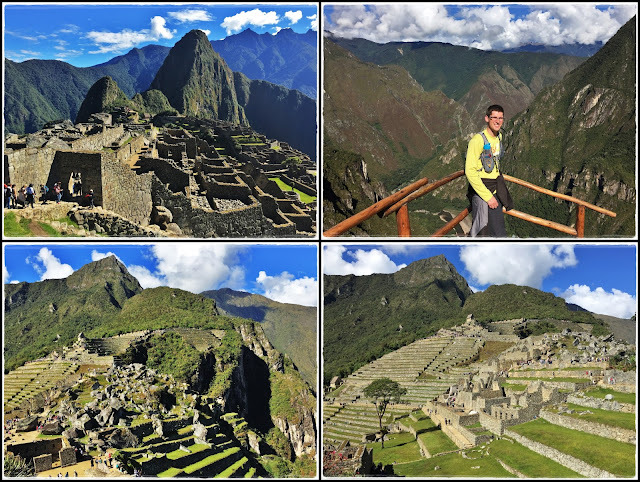 and I remember clearly that my answer was Machu Picchu in Peru! 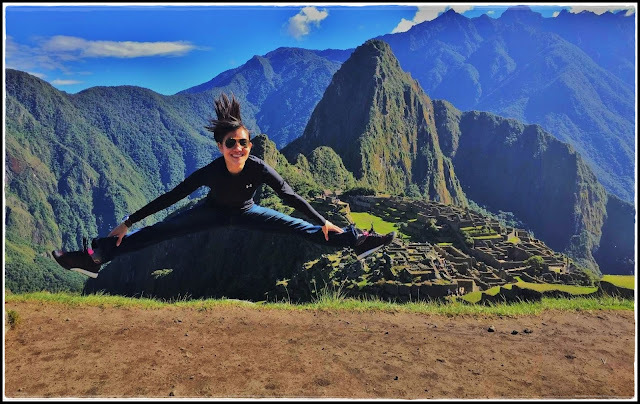 Machu Picchu has always been on my travel bucket list but it has always seemed to be just a distant dream coz South America is so far away and I thought I would only be able to afford traveling there when I'm older (richer)…haha! 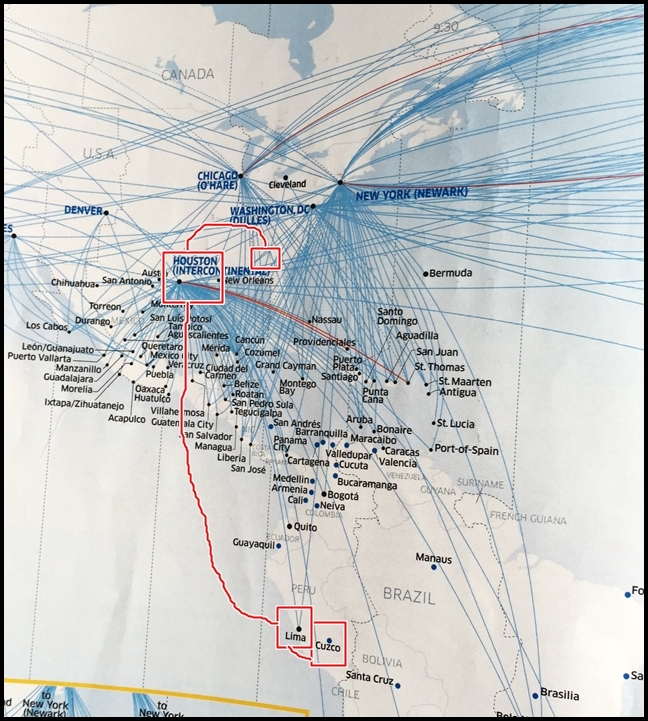 I don't remember why but somehow I was randomly looking on United’s website for award travels in February and found that it is actually possible to get a return ticket from the US to Peru for 40,000 miles. Thanks to my previous travels on SIA, Lufthansa and United, and several hotel stays over the last 2 years, I accumulated just enough points for this trip. Hubby also had enough points from traveling to Malaysia over the last few years. So we decided to make this trip happen and started looking into the available dates. Speaking about flights, our flight was changed twice since we booked it. 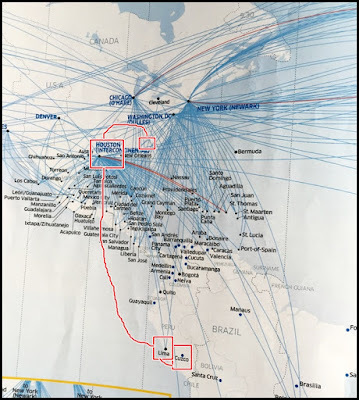 Our original route was Huntsville-Denver-Panama-Lima-Cusco; Cusco-Lima-Panama-DC-Huntsville, but the final route turned out to be Huntsville-Houston-Lima-Cusco; Cusco-Lima-Panama-DC-Nashville. Someone pointed out that my trips always seem to take more than 24 hours to get there, well that’s true for most of my international travels coz I depart from smaller city so transits are unavoidable, and I guess that’s the tradeoff for traveling cheap…haha!! Our route ~ 1pm: Huntsville-Houston (2hr) ; 4.30pm Houston-Lima (6.5hr) ; 5.50am Lima-Cusco (1.4hr). 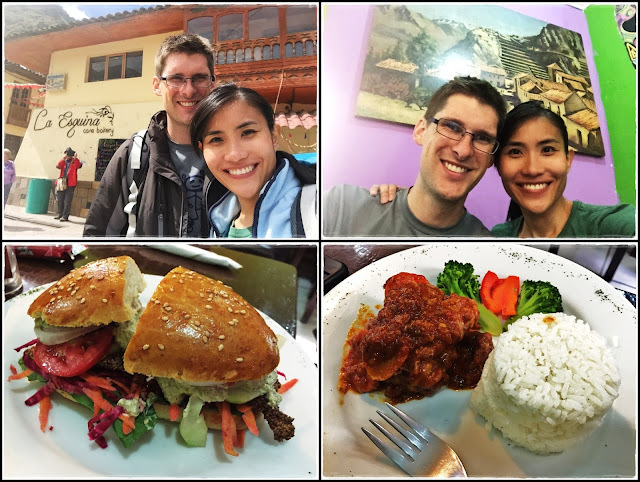 Finally made it to Peru after traveling for 10 hours, but we still had an overnight transit before taking our last flight to Cusco the next morning. Since it was only about 6 hours, we decided to spend the night at Lima airport. Found a quieter (apart from the noise of vacuum cleaners) corner to rest for the night. Also collected our Perurail tickets that we bought online beforehand. 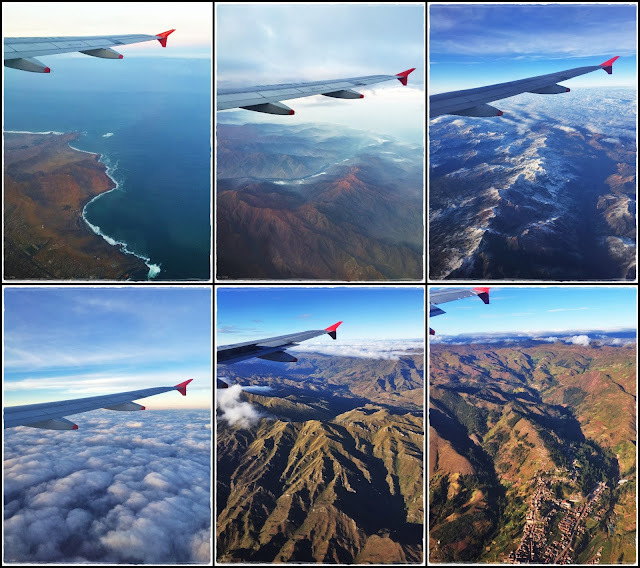 Flew on Avianca from Lima to Cusco. Short flight but kinda surprised to be served with some snacks and beverage. I was really tired and sleepy during this flight but the amazing views from the plane kept me awake. 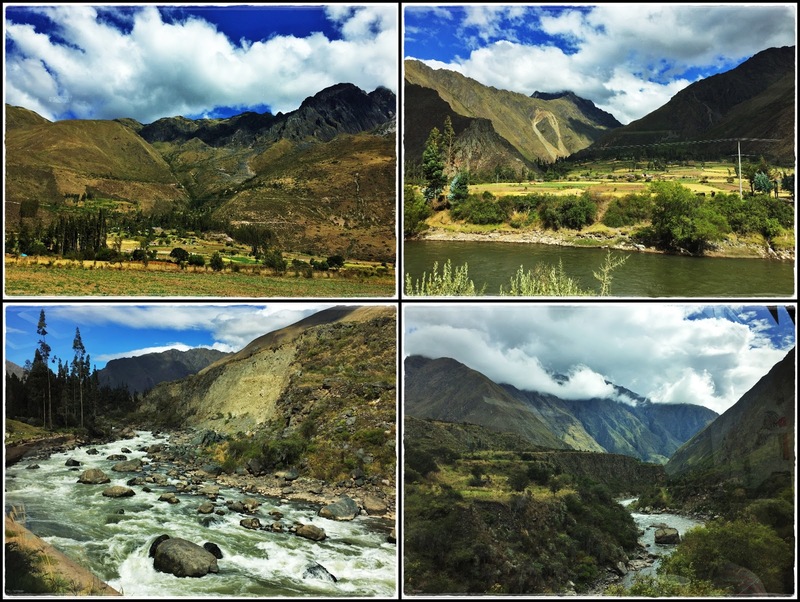 Made me realize how mountainous Peru is! 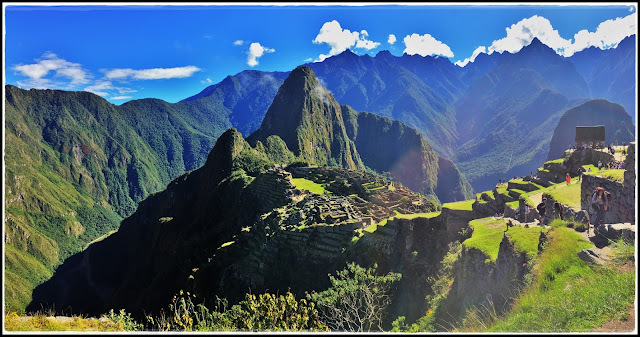 That explains why terraces were so important in the Incan architectures. Made it to Cusco at 7.15am but our plan was to get outta Cusco as soon as possible to avoid altitude sickness. 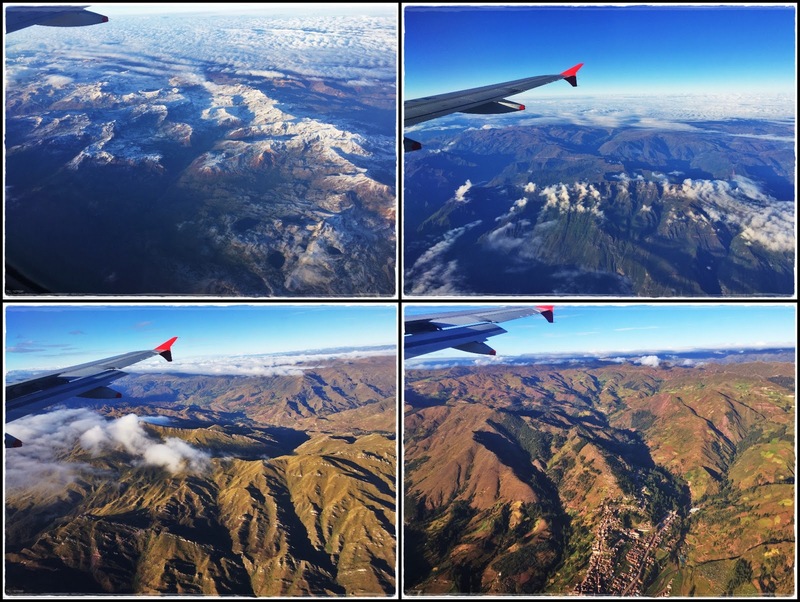 Cusco is 11,000ft (3400m) above sea level and it's recommended for tourists to acclimate at somewhere with lower altitude. Hopped on a taxi (12soles/$4) to get to the collectivo (van) station. 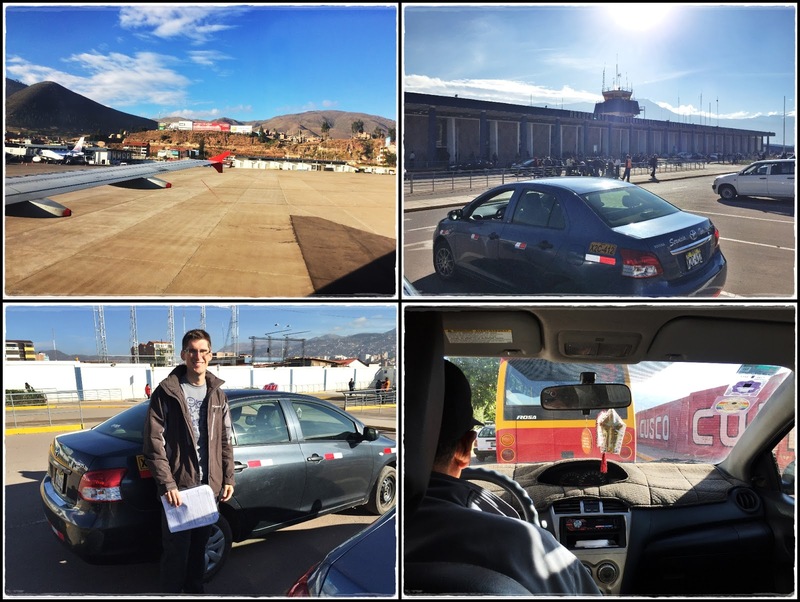 First impression of Cusco...lots of dirt and seemed like there are a lot of construction-in-progress. The streets were pretty busy coz we arrived during rush hour and I noticed almost all of the traffic polices are female. There were a lot of collectivos waiting to fill their vans up at the station but we were lucky to find one that costs only 10 soles ($3) per person and it was almost full so we didn't have to wait at all! P.S. The collectivos don’t run by a strict timetable, they just leave whenever it's full. Being a planning freak, I prefer having everything booked in advance but I was surprised how easy and convenient it was to hop on a local transportation here, and you don't really have to worry about being scammed, especially when you're traveling with a van-full of locals. Best of all, it's so cheap!! 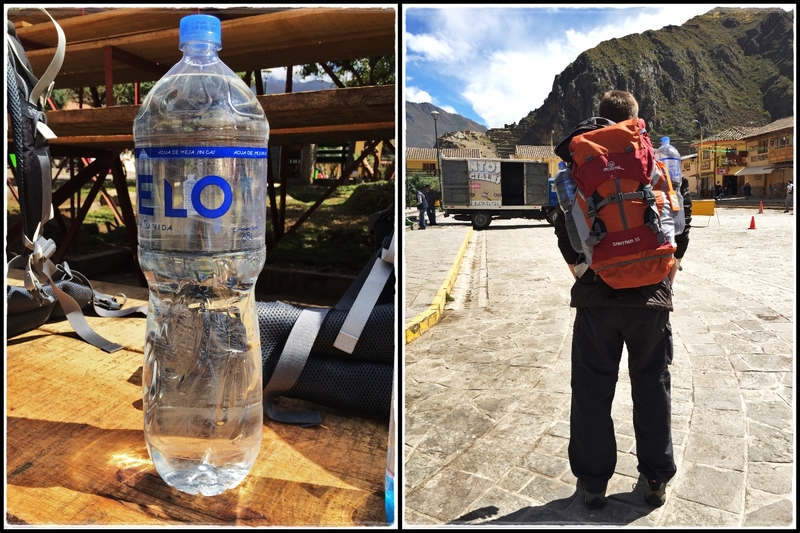 Only $4 for the 2 hours journey from Cusco to Ollantaytambo...even cheaper than our 15 minutes taxi ride!!! 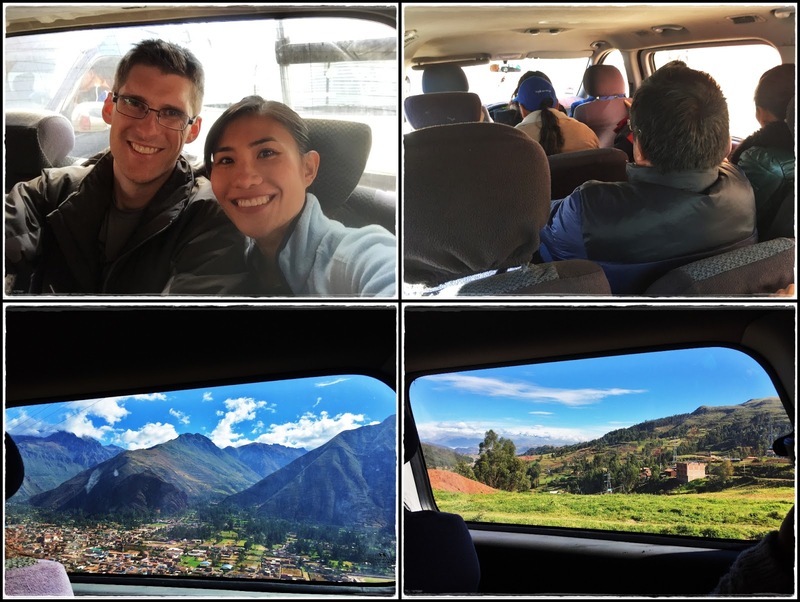 I was dozing off in the packed van but once again forced myself to stay awake to enjoy the scenery of Sacred Valley...not knowing that we'll go through this same road for 3 more times in the next few days...lol!! 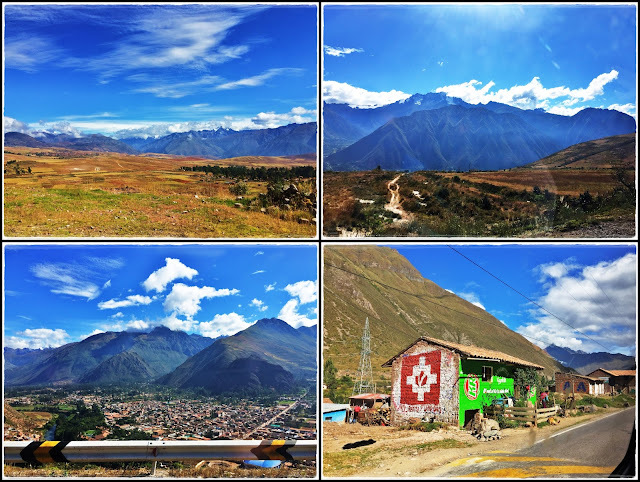 Anyway, I think I figured out why this whole region is called Sacred Valley. As I mentioned earlier, Peru is such a mountainous country, but surprisingly this area has a lot of flat lands and the Urubamba river flowing through, making it possible to farm and become the heartland of the Inca Empire. 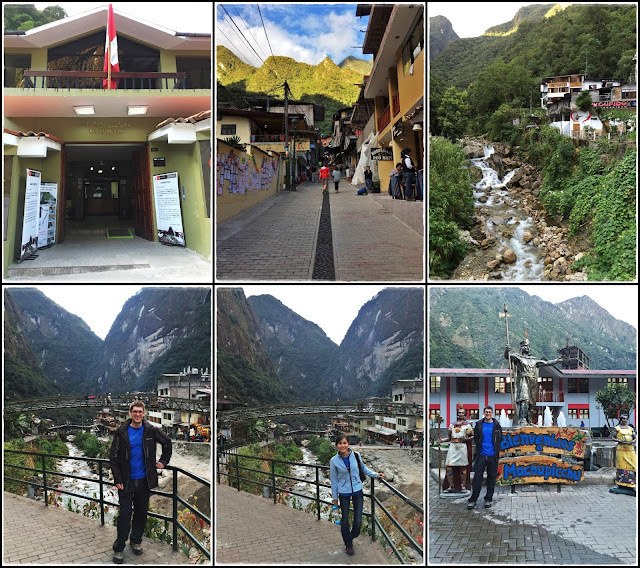 Made it to the quaint little town of Ollantaytambo around 10am and had some time to kill before catching our train to Aguas Calientes at 12.58pm. Lunch at La Esquina Cafe. It was good to finally have a 'real' meal after traveling for 24 hours! Boarded Perurail's Expedition train from Ollantaytambo to Aguas Calientes. Taking a train is pretty much the only way to get to Machu Picchu, unless you don't mind spending hours walking and taking various modes of transportation to save money. P.S. Perurail is a monopoly in this region, and that means the price of the train ticket is crazily expensive. This 1.5 hour train ride costed us $59/pax one way. The train is comfortable and nice, but still kinda ridiculous if you compare it to our 2 hours collectivo ride that costed only $4. Finally finally finally...after traveling for almost 26 hours in various modes of transports (flight-cab-van-train), we made it to our final destination...AGUAS CALIENTES!!! Our hostel host was already waiting for us at the station holding a card with my name on it. =) Stayed at El Tambo hostel which was centrally located near the main square. $50/night for a queen room with ensuite bathroom and includes breakfast, not bad at all! This town is the gateway for all the tourists who wants to visit Machu Picchu. The town itself is very small but quite pretty coz it's surrounded by mountains and has a river running through it. Since this is such a touristy town, everything here is quite pricey. 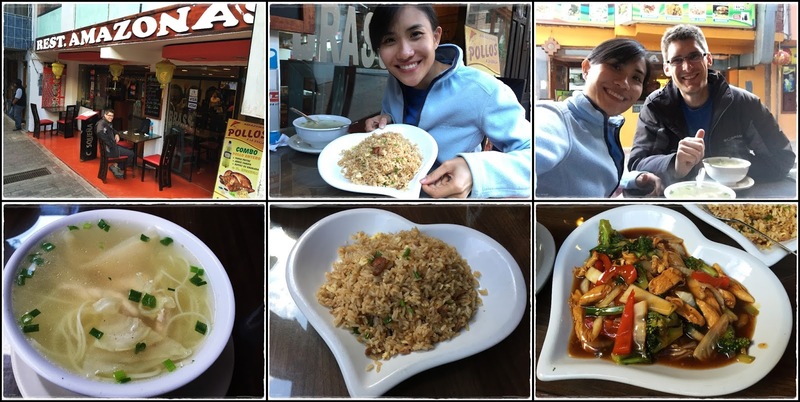 But we found this chinese restaurant that's quite reasonably priced. Ordered wonton soup, fried rice, and noodles for a total of 25 soles/$8. Not bad eh? At this point, we were both so tired and the only thing we needed was a good night's rest before hiking up MP the next day. 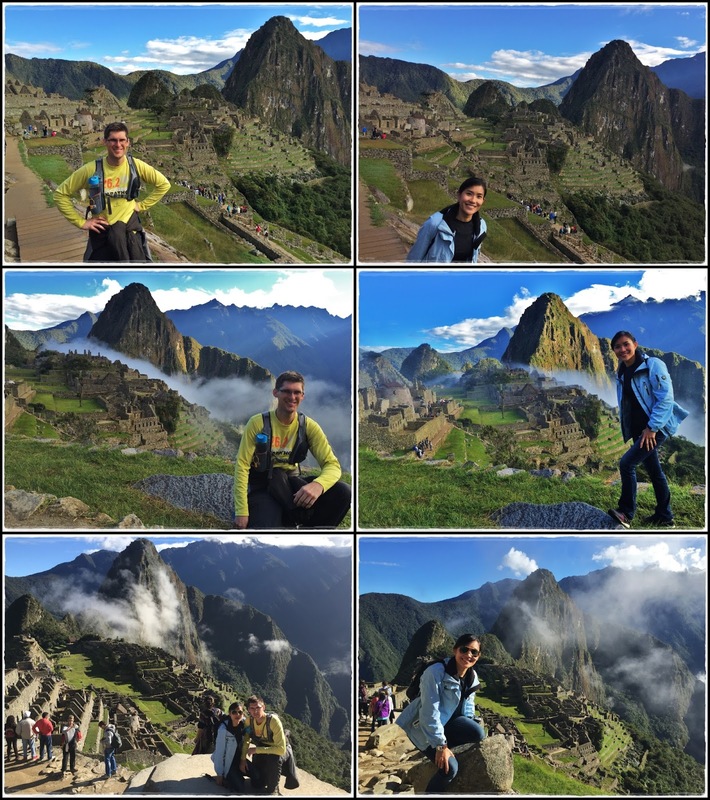 So that's a wrap for day 1 and 2 of our trip, stay tuned for the next post...Machu Picchu!! 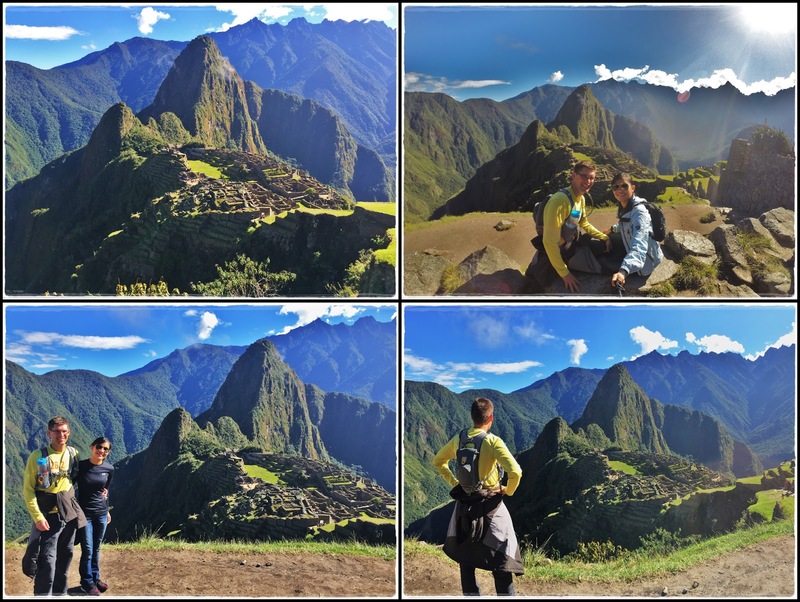 Here comes the main highlight of our trip...the much anticipated visit to Machu Picchu!! 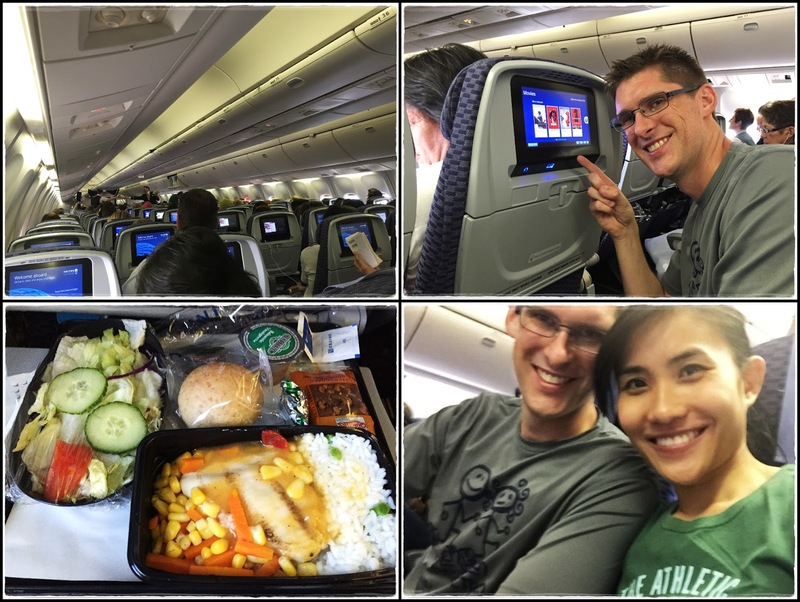 As noted in my previous blogpost, the first 2 days of our trip was pretty uneventful. And after a good night's rest (we were KO-ed by 6pm...lol! ), we were all set to rock and roll!! We thought about watching sunrise from Machupicchu but after second thought, we decided to take our time to hike up since the chances of seeing a nice sunrise is rare anyway. We woke up at 5am, had breakfast at the hotel, and started our walk/hike in the dark at 5.30am. From the main plaza, we just walked along the river and followed the direction the buses were heading to. It was already bright (6am) when we got to the 'Puente Ruinas' bridge, where the big sign of Machupicchu is. 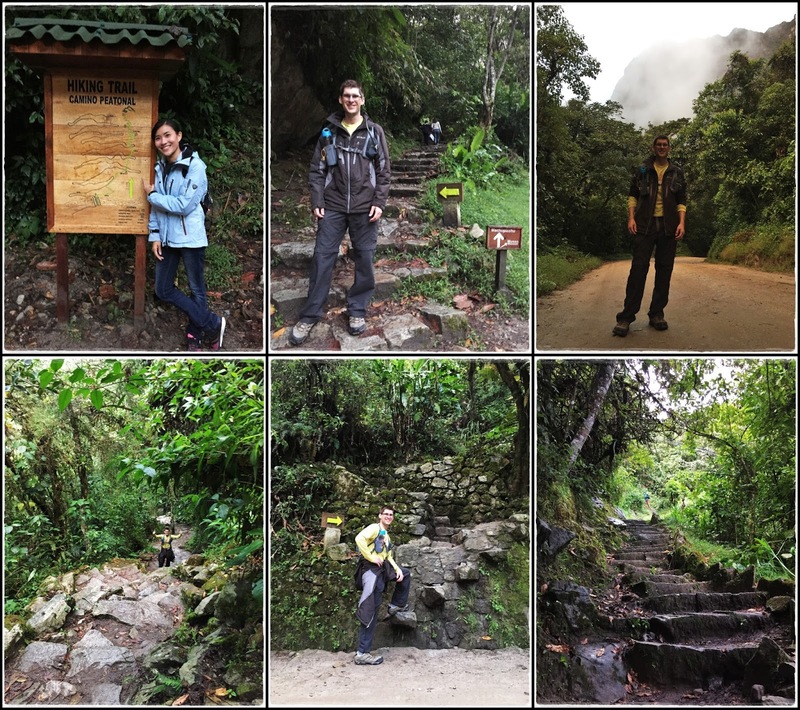 We could have taken the bus for $10/way, just like what most people do, but instead, we chose to do it the 'ancient' way and hiked all the way up. To be honest, the trail is not dangerous or scary and there are clear signs so it's hard to get lost, but it's pretty tiring coz it's a steep hike with stairs all the way. But the effort made us appreciate more how the Incans used to carry all those stones up there to build an entire city. Our hike took slightly longer than expected coz we stopped quite a lot to enjoy the sceneries and take photos...refuse to admit that we're not as fit as we thought....haha!! After walking/hiking for 1 hr and 45 min, we finally made it to the entrance of Machu Picchu at 7.15am! For those who plan to visit Machupicchu, remember to buy the tickets beforehand as they don't sell the tickets at the entrance. We bought our tickets online for 133 soles/$43 per pax and collected it in Aguas Calientes the day before. You'll also need to bring your passport as they'll check the name on the ticket to your passport. First glimpse of Machu Picchu...absolutely BREATHTAKING!! We stood there for awhile just to take in this scenery. It's hard imagine how the Incans managed to build all these on top of such high mountains in the old days. Must have taken a lot of effort and time for Hiram Bingham to find this place in 1911...haha!! The fogs/clouds come and go fast, making the ruins feel more mystical. Even though the ruin is huge, we somehow always end up taking photos with the same background...lol!! Admiring the Inca architecture and stoneworks. 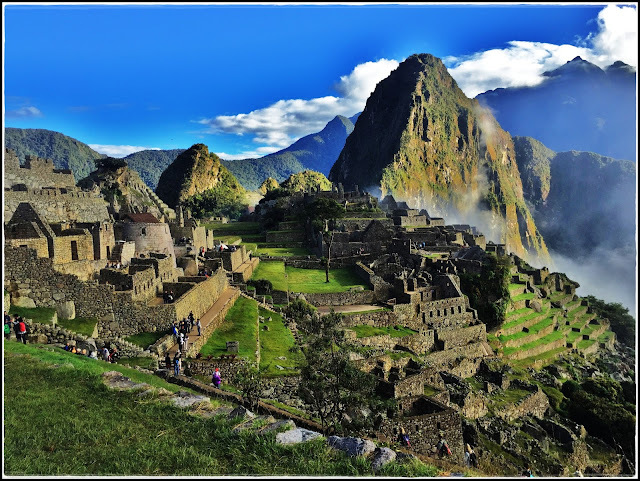 Inca architecture is widely known for its fine masonry, which features precisely cut and shaped stones closely fitted without mortar. Jigsaw puzzle at its best...lol!! The llamas are like the official 'mascot' of Machu Picchu. They just chill around and enjoy the beautiful view of the mountains...how nice right! Btw, it looks like both of them are smoking while enjoying the view...lol!! 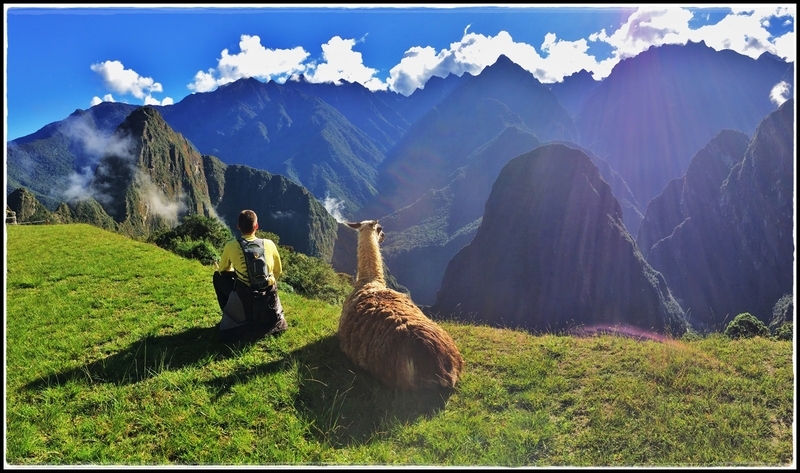 The llamas at MP are so tame and chill, they just sit there and let tourists take photos (and selfies) without moving. They were very cooperative 'posers', until some stupid people we saw accidentally stepped on them, then they slowly moved away from those idiots. View from a higher point. This was one place we found that was more tranquil, without hordes of tourists. We sat there for quite awhile enjoying the amazing view, while waiting for an annoying couple who was posing for photos (as if she is a model) at the same exact spot for 10 minutes...OMG how many photos do you need?? Took this jumpshot right before a random tour guide told us 'No jumping, no jumping!' So apparently, you're not allowed to jump in Machu Picchu?? Time to explore the ruins up close. Unlike most other tourists, we didn't hire a tour guide and chose to wander around the site ourselves. 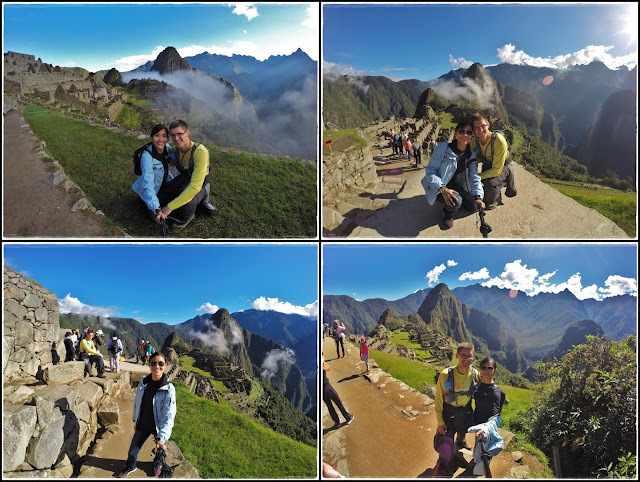 We'd much rather go on our own pace and take photos whenever and wherever we like. It's already difficult enough to take photos without senseless people walking into your frame, and the last thing you want is to get stuck with a big group of people. After spending 3 hours walking around the site, we decided to head out. One last glance of this Lost City of the Incas before starting our hike downhill. We thought we were gonna spend more time walking around so we brought more granola bars and water than we needed (basics for budget traveling). =P We were also a lil' over-dressed coz it was cold in the morning but it didn't take long before we started sweating. 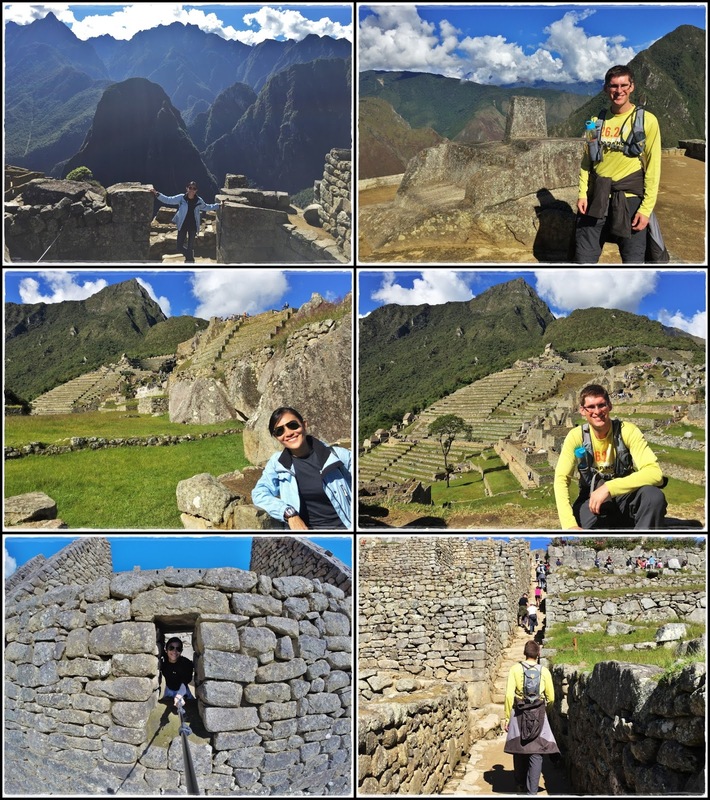 The commemorative Machu Picchu stamp in our passports as souvenir. The hike down was much easier and faster (only a lil' more than an hour). 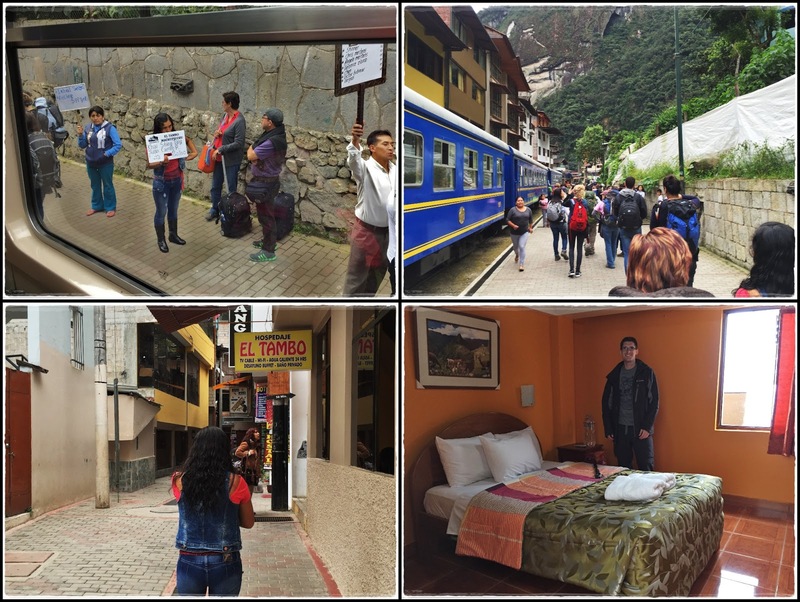 We made it back to Aguas Calientes at 11.30am. It's not even noon yet but we've already been on our foot for the past 6 hours. This was indeed a good workout coz our legs were sore for the rest of the trip...lol!! 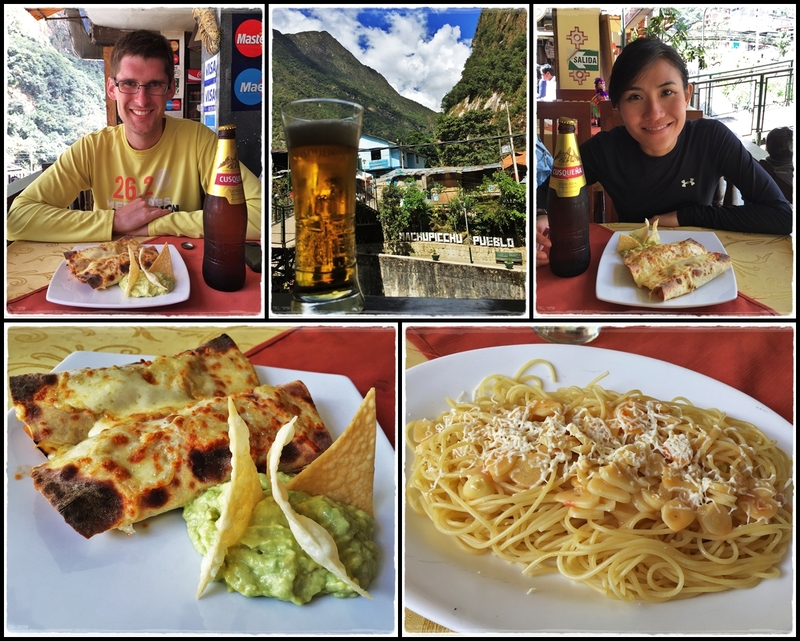 Cusqueña (Peruvian) beer to reward ourselves for successfully hiking up and down Machu Picchu! Btw, food in this town is quite overpriced...and I'm 'impressed' that the garlic spaghetti literally came with just garlic and spaghetti...hahaha!! We went back to our hostel and rested at the lobby for the whole afternoon. Had pizza and a local beer for dinner leaving Aguas Calientes. 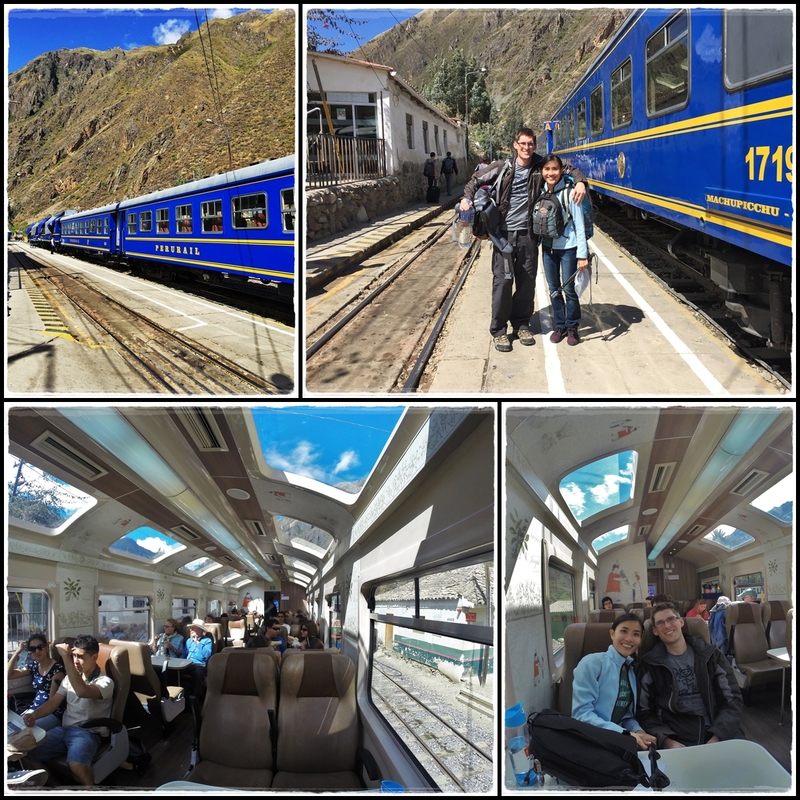 Took the Expedition train ($61/pax) at 6.35pm from Aguas Calientes to Ollantaytambo. 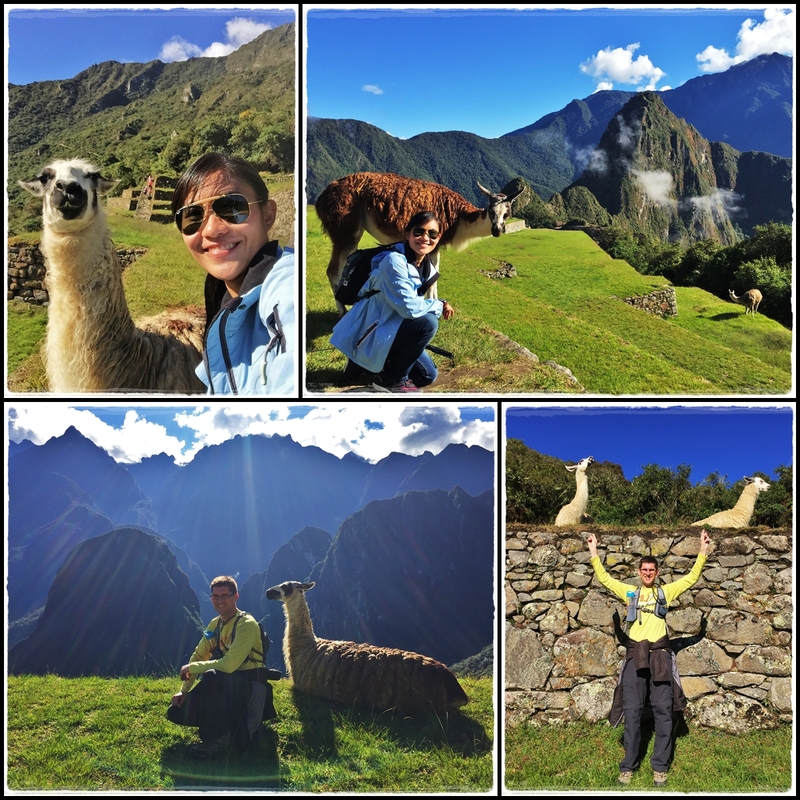 Goodbye Machu Picchu...next stop...Ollantaytambo! !